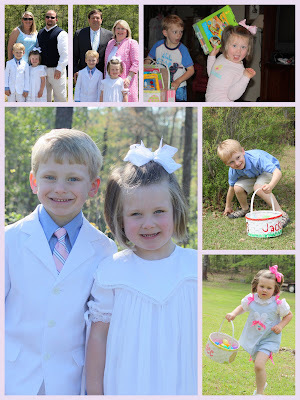 shelly's summary: Day 12... Hoppy Easter! We had a busy day starting this morning with seeing what the Easter bunny brought, getting ready for church, running out of gas on the way to church (lovely), keeping the babies during the first service of church, going to church, eating at Richard's aunt and uncles house and having a massive easter egg hunt with about 20 great grandkids, eating dinner at my parents house, more egg hunting and easter surprises to be opened.... shooh... i am tired from just writing this. Here's to hoping you are yours had a wonderful Easter Sunday!